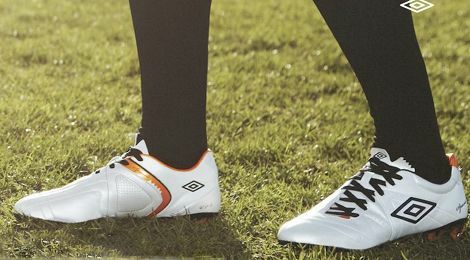 Staking it’s claim as the first big brand release of 2012, the' Umbro Speciali III replaces the well-received Speciali R in the Umbro football boots line-up. 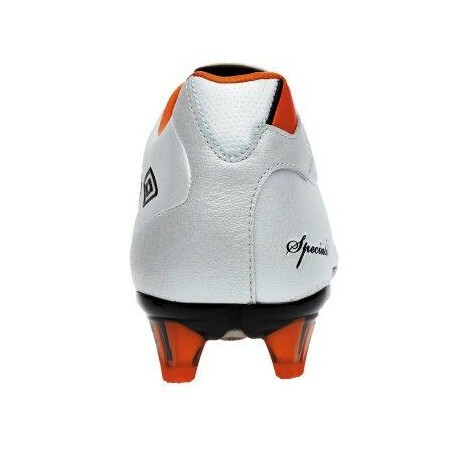 Building upon the template set out by the original Speciali ‘revamp’ from 2009, the' Umbro Speciali III is all about combining classic football boot heritage with the finest modern technologies. The forefoot and instep are full-grain leather on the top-level Speciali III for superior ball touch and feel, with the rest of the boot being comprised of a microfibre to reduce weight – much like the Puma PowerCat 1.12 and Nike Tiempo Legend IV. 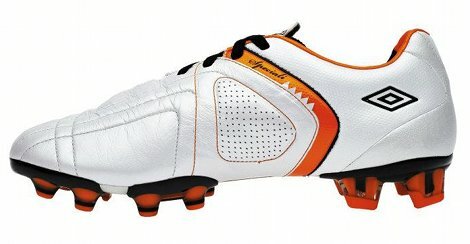 The new soleplate improves stability by replacing the conical studs that have graced the previous two Speciali models with blades under the heel, whilst the fold-over tongue stays dropped from these classic football boots, after being sacrificed on the Speciali R.
Launching in a clean Pearlized White/Black/Nectarine colorway, the' Umbro Speciali III is easily the most modern-looking Speciali yet, with a unique design that puts performance and comfort at the top of it’s agenda. 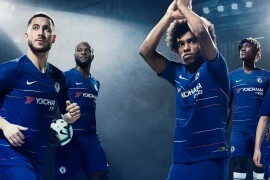 John Terry, Michael Owen and Darren Bent will be the players charged with giving the' Umbro Speciali III it’s debut this weekend during the latest round of games in the World’s Oldest Club Football Competition – the FA Cup. 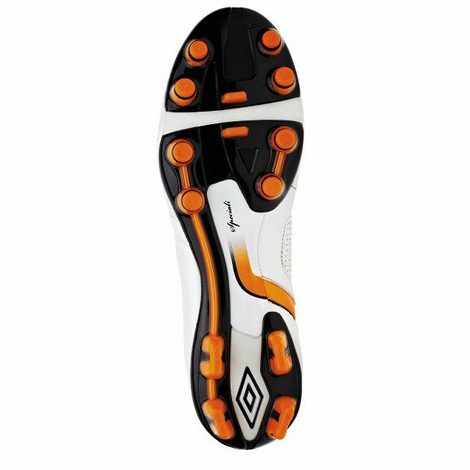 Set for a release at the end of January, expect to see the the latest Speciali to be another well-priced pair of football boots from Umbro; retailing at £80/$130 – keep an eye on them hitting the Foot-Boots.com store! What do you think to the latest Speciali? Drop a rating into the Boot-o-meter or leave us a comment! 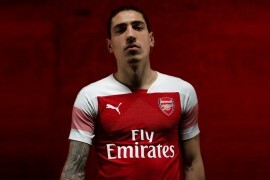 Looks brilliant! 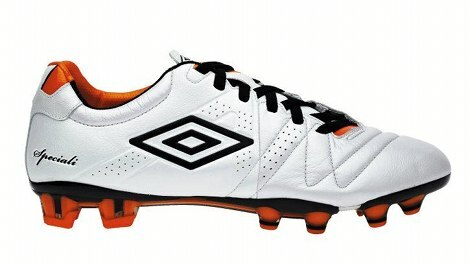 I have to say, Umbro have done really well here! Will there be a sg version of these? 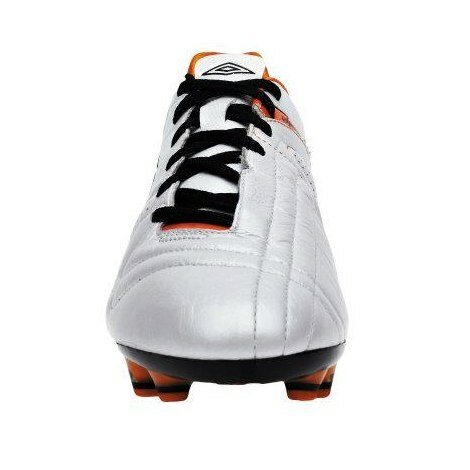 The Umbro Press Release said it was Full Grain leather, which usually means it’s Calf leather. We were surprised not to see Kanga-Touch return from the Speciali R, so we’re as curious as you are as to why Umbro went full-grain. We’d imagine that it’s the reason they can sell ’em for ÂŁ80 though! Seriously good value! Impressed! Very reasonable price too! Have the SG ones, really comfortable but 2 games in and the toe is starting to separate from the sole.